Three men, one of them later hospitalized, were arrested after an attempted home invasion robbery in El Cajon today. 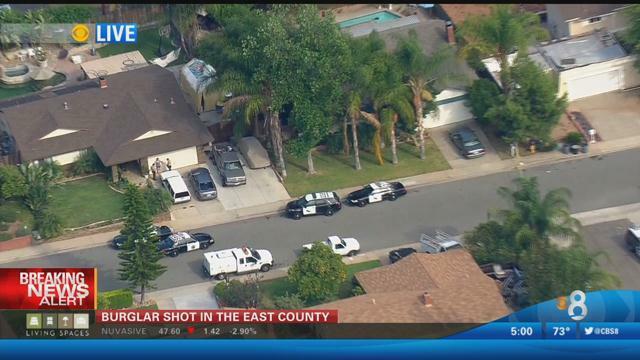 The break-in attempt occurred around 4:30 p.m. in the 8200 block of Limon Lane in an unincorporated area bordering El Cajon, San Diego County Sheriff’s Department Sgt. Tim Chantler said. The three men had gone to the home to collect a debt from the homeowner, then forced their way into a garage and confronted the homeowner, Chantler said. The homeowner fired at least one shotgun round, striking a man in a leg, Chantler said. The wounded man was hospitalized. Two other suspects were later stopped by deputies in a vehicle, in which a small amount of methamphetamine and a clown mask were recovered, Chantler said. The two vehicle occupants and the man with the gunshot wound were arrested on suspicion of home invasion robbery, Chantler said.